IPMS USA Nationals 2015, in Columbus, OH. Photos from last week’s IPMS Nationals in Columbus, OH, have been uploaded to the photo gallery site HERE, and a link added to the website on the Photos page. 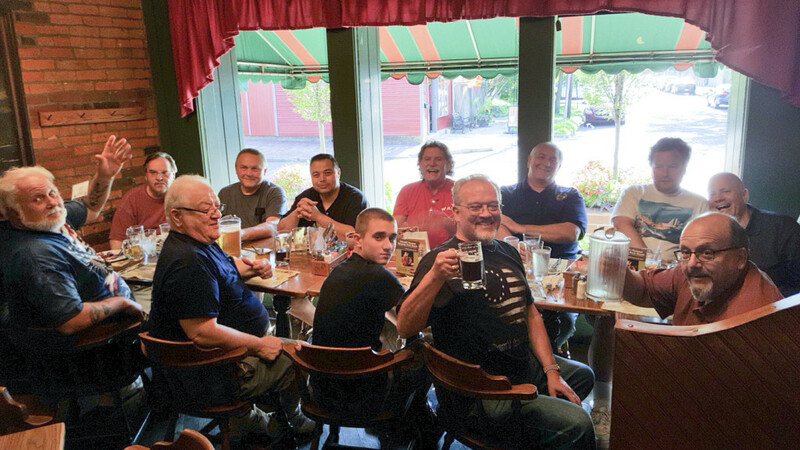 The above photo is what turned out to be only a portion of the NJIPMS crowd that made the trip to the NATS dinner, at Schmidt’s German restaurant in Columbus. Great food, and even better beer. This entry was posted in Website Updates by New Jersey IPMS. Bookmark the permalink.